Student blogger Ben reflects on efforts on campus to build the Thursday’s in Black campaign. Thursdays in Black is a global campaign aimed with increasing awareness of sexual violence, consent culture, and positive relationships. 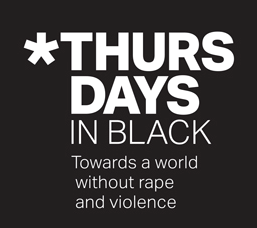 Thursday’s in Black encourages everyone to wear black every Thursday in solidarity against gender based violence. The 2018 formation of UC’s Thursdays in Black club has led to many events including clothing swaps, discussion panels, and free workshops, keeping its focal message in mind. You can typically find our stalls Thursday’s at the central library’s entrance for free coffee, resources, and conversation. Otherwise, look out for us on Facebook. The on-campus presence of clubs and campaigns such as Thursday’s in Black lies at the heart of UC’s culture, building a community united in diversity. 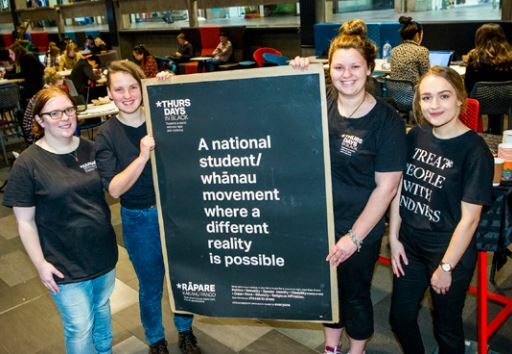 On-campus societies and campaigns such as Thursdays in Black, the counsellors at the UC Health Centre and those of the Māori Student Development, Pacific Development, and Student Care teams are all there for a reason. The safety and security of everyone on campus is paramount. In the following New Zealand Police video, Dr Cathy Stephenson from Medical Sexual Assault Clinicians Aotearoa (MEDSAC) outlines some quick facts on sexual consent.